A former research scientist at NASA, Rachael applies her bioscience background to her intellectual property practice to help clients achieve their long-term goals and objectives. Rachael works with innovators on patent law matters to assist them with protecting their intellectual property and making it available to the world. She focuses on therapeutic and biotechnical industries, including large and small molecule therapeutics, cell-based technologies, laboratory-based research and regenerative medicine. Rachael renders opinion work, conducts technical analyses and provides legal counsel on the validity, enforceability, infringement and freedom to operate for patents. She drafts patent applications, interacts with inventors to identify patentable subject matters, conducts patent searches and manages international patent portfolios. When necessary, Rachael supports all phases of litigation in matters related to patents, trademarks, trade secrets, copyrights, business torts and Food and Drug Administration regulations. 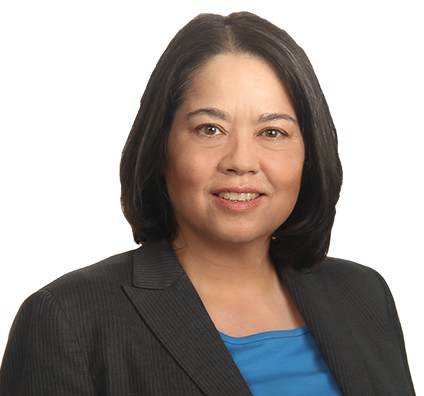 She represents clients with intellectual property issues from prelitigation counseling to trials, appeals, post-grant proceedings before the Patent Trial and Appeal Board, and challenges before the U.S. Court of Appeals for the Federal Circuit. Prior to joining the firm as a registered patent attorney, Rachael spent more than 10 years as a research scientist, where she performed research on the biological risks of space exploration missions, such as cancer, radiation sickness and cardiovascular disease. She also performed cell-based and animal studies and tested novel countermeasures against the biological effects of acute radiation exposure. Successfully defended sippy cup company Luv N' Care against a patent infringement suit brought by competitor Munchkin. Rachael likes to experience the many cultures of the world, whether through travel, food, reading or activities. She enjoys traveling to faraway destinations, trying new foods and visiting museums, particularly those depicting everyday life in different cultures. Rachael also likes science fiction novels, Renaissance faires, ukiyo-e woodblock prints and live action role playing. Before pursing law, Rachael worked as a research scientist. She developed and tested small-molecule, large-molecule, nanoparticle and nutraceutical therapies for treating the genomic/proteomic effects of various diseases in cells, organs and human beings. She coordinated group research efforts between universities, medical care facilities, government agencies and businesses. After earning her doctorate in biochemistry from Rush University Medical College, she spent the next 15 years working as an instructor and research scientist. Rachael has been published in numerous peer-reviewed scientific articles on ovarian cancer, autoimmune disorders, DNA repair, and the effects of exposure to high-energy radiation and threshold exposures to radiation. As a scientist, Rachael identified molecular biomarkers and changes in their patterns of expression in cartilage disease and repair. She researched cancer biology, focusing on small molecular treatments against metastasis and developed cell-based assays to evaluate biologics and small molecules as therapeutics. She is also very familiar with the regulatory issues faced by doctors and medical researchers in laboratory, clinical and research settings. At NASA, she had extensive experience conducting research to solve complex medical problems, writing scientific articles and reports, and presenting solutions to scientists, businesses and the public. Rachael evaluated novel treatments against the biological effects of environmental hazards unique to outer space and collaborated with international colleagues in support of a variety of research projects. She also served as a sensory panelist for the Space Food Systems Laboratory. And yes, technically, she was a rocket scientist. When NASA’s space shuttle program was discontinued, Rachael decided to leverage her scientific experiences and her love of research and problem-solving into a legal career where intellectual property and healthcare law intersect. As a patent attorney, Rachael’s practice focuses on identifying, protecting and commercializing clients’ intellectual property assets. Because of her extensive experience as a medical researcher, her practice focuses on pharmaceutical and biotechnology inventions, including technologies relating to proteins, nucleic acids, antibodies, cells, inducers and inhibitors of cell-signaling molecules, antibodies, diagnostic and detection assays, novel therapeutics, combination therapies and detection and screening tools. Her practice also focuses on helping clients comply with the specialized regulations relating to medical research.